I was watching a special on Wayne White a while back and was inspired by what he was doing to junky thrift store art. It got me thinking about classic pieces of art and the ways you could manipulate them. 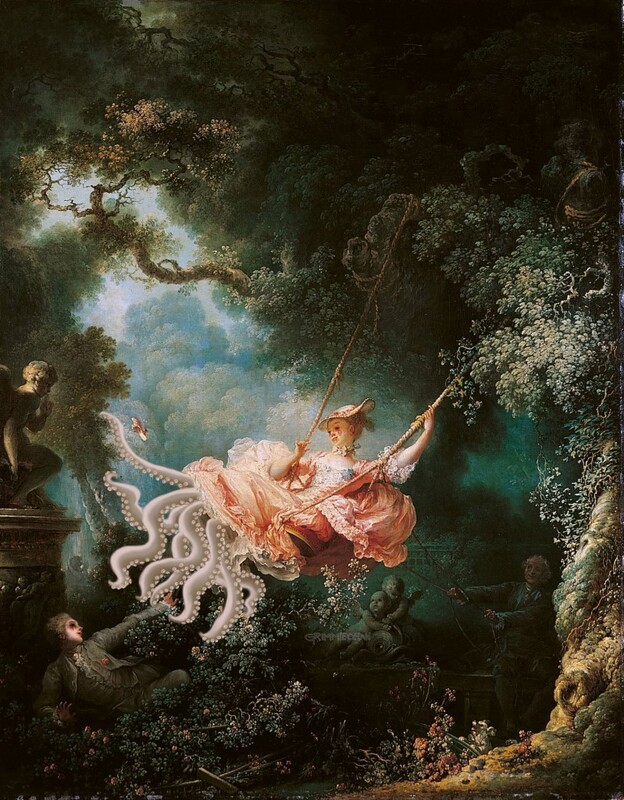 Since I don’t have a copy of Jean-Honoré Fragonard’s “The Swing” sitting around and I didn’t feel like printing out a copy of it, I decided to take it into Photoshop and graffiti it to my heart’s desire. The mood of this picture has changed so much by simply making her a Cthulhu-like monster beast.